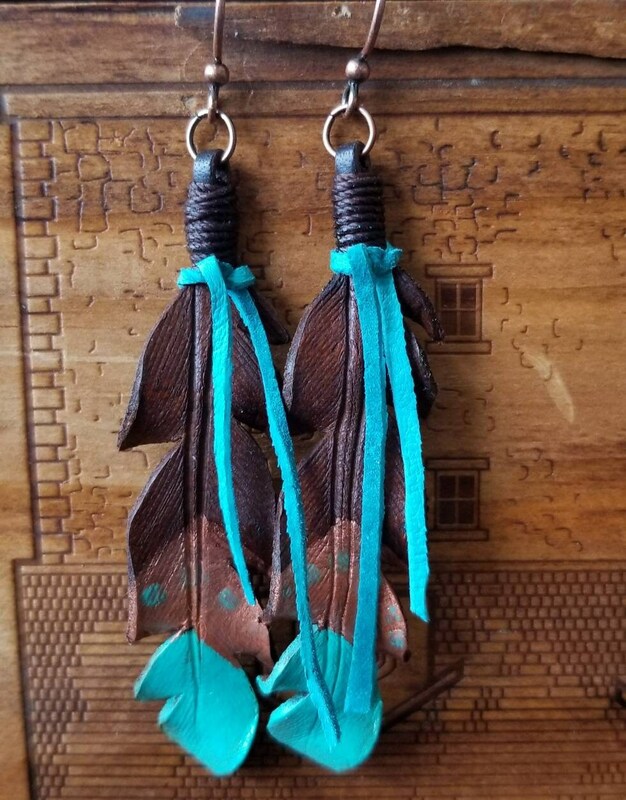 Really, what is there not to love about these leather feather earrings? hand-cut from leather, the feathers are wet formed to give them their beautiful shape. After drying, the feathers were then dipped into leather oil dye to achieve that perfect shade of brown. 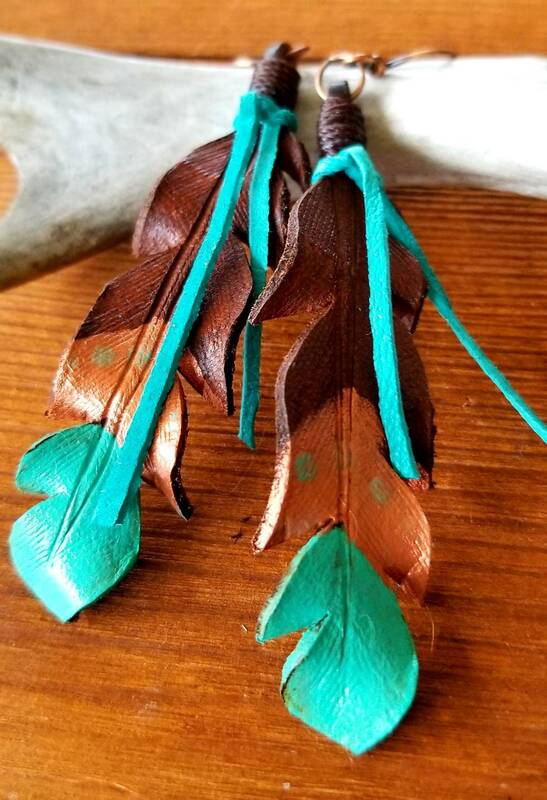 Once dry the feathers were then hand-painted with copper and turquoise chevron stripes. The copper chevron has been further accented with small distressed turquoise dots. 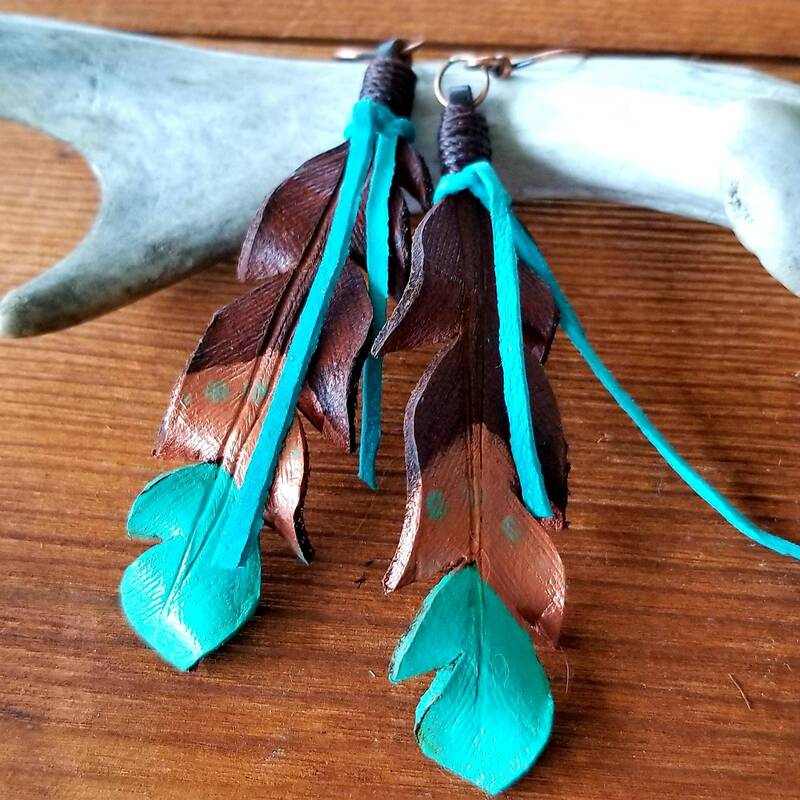 2.50 inches long, the earrings hang from antiqued copper earring wires.